A local favorite here in Le Marche and especially at our farmhouse is pizza bianco or white pizza, because there is no sauce. There are many variations of this depending on where you live - but in our neck of the woods, it's made with thinly sliced potatoes, rosemary, dollops of ricotta, sea salt (& peperoncini) and a good drizzle of extra virigin olive oil. We serve this classic up every Thursday during our Summer Pizza Nights!! 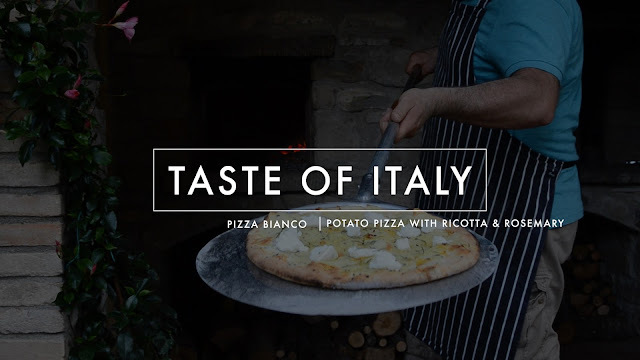 Try a Pizza Bianco on your next trip to Le Marche! Great to WATCH your video i like pizza thanks to post it.